You’ve no doubt heard of grafting fruit trees and plants, but do you know what it actually means? 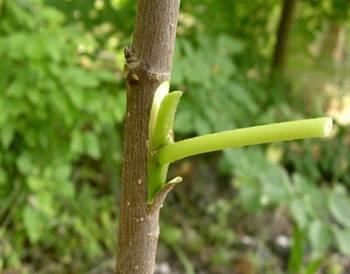 Grafting is a gardening technique that involves attaching a twig (called a scion) from one tree or plant to the stem of a tree seedling (called a rootstock). Once attached, the scion will then eventually become part of the tree. So how to graft fruit trees? There are several different ways, but we’ll show you one of the best and easiest grafting technique called the four flap graft technique! You should always graft a scion to a rootstock in the spring. In the dormant season (late winter), cut the new growth scions that have buds on them. Place the newly cut scions in plastic bags and store in the refrigerator until spring. Both scions and rootstocks should be about the same diameter. Start by making four 3-inch vertical incisions into the rootstock’s bark. Be sure to start at the top. Place a small rubber band onto the rootstock, stopping just below the vertical incisions. Separate the bark with the point of a knife. Peel the bark down into four 3-inch flaps. Using shears, cut off an equal-sized rootstock after peeling the bark back. Start by prepping the scion (the twig) by trimming about 1/2 inch off the bottom. You should be able to see fresh, green wood. At the bottom end of the scion, slice a shallow, 2 inch cut. Do this four times to make 4 evenly spaced cuts. Do this by placing the cut end of the scion inside the 4 flaps, making sure to line up each cut surface with a flap. Use the rubber band to securely hold the rootstock and scion together. Protected the newly grafted wood by wrapping it with heavy duty aluminium foil, and then with plastic wrap. Tape the plastic using masking tape. Your new grafts should start to appear within 15 to 30 days! 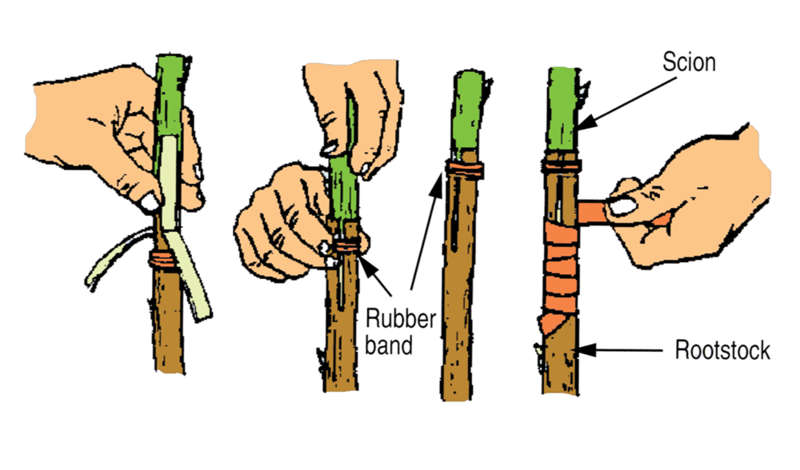 So now that you know how to graft fruit trees and use the four flap graft, it’s time to roll up your sleeves and get to grafting! 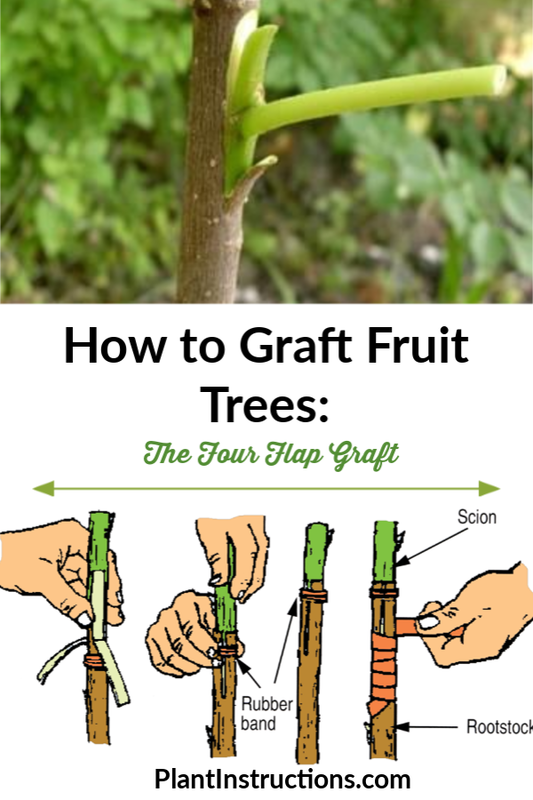 How to Graft Fruit Trees: The Four Flap Graft was last modified: February 1st, 2019 by Aniela M.